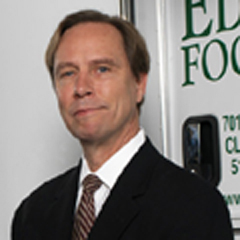 Oct. 21, 2011 - PRLog -- New York— Michael Potter, CEO of Eden Foods will be the featured guest on The Organic View Radio Show (www.theorganicview.com) with host, June Stoyer, on October 20, 2011 at 4p.m. Eastern Standard Time. Eden Foods, Inc., (also known as Eden Organic), is the oldest family owned organic food producer in the United States and the largest supplier of organic dry grocery items. Mr. Potter has been a strong advocate of organics and has also been a big supporter of the Non-GMO Project which is pushing for GMO Labeling. Conventional food producers currently do not have to label whether or not GMO ingredients are used in foods sold in the United States. Callers are welcome to join the conversation during the show by calling (917) 932-1068. The live, Internet talk-radio show will stream from the host page at www.blogtalkradio.com/theorganicview. “In the auto industry, it is mandatory for the seller to disclose everything about the car to the buyer but yet when it comes to food sold in the United States, manufacturers do not have to disclose genetically engineered ingredients,” said June Stoyer, Executive Producer of the show. An archive will be available at www.theorganicview.com/podcasts/ or listeners can subscribe to the archives via the RSS feed located at www.blogtalkradio.com/theorganicview.rss All podcasts are also available for download on all major podcast providers such as iTunes and Zune. Read more about the host and the discussion on The Organic View’s website at www.TheOrganicView.com. “The Organic View Radio Show” is a unique, live, interactive, internet talk-radio show that features key leaders, innovators and educators who work within industries that involve organics, environment, politics, living green and sustainability. Host, June Stoyer, explores the background and mission of each guest. Questions are taken by the audience via Twitter, Skype, Facebook and email. Callers are encouraged to call (917) 932-1068 to listen or ask questions. The complete archives are available at www.theorganicview.com/podcasts/ iTunes and every major podcasting provider. The show is broadcast live at 4 pm, Eastern Standard Time and has a global audience with over a million listeners. Featured guests have included: Michael Potter, CEO of Eden Foods, Arran Stephens, CEO of Nature's Path, John Robbins, Trump Chicago, Prince Lorenzo Borghese, Defenders Of Wildlife, Dr. Marla Spivak as well as hundreds of other industry leaders, scientists and experts. Are Hummingbirds Declining Due To The Widespread Use Of Neonicotinoids?